Lakeside team boss Will Pottinger admits it’s a relief they can now “focus everything” on title glory after cruising into the Championship Play-Off final. 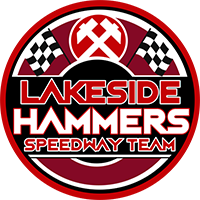 The Hammers crushed a patched-up Peterborough side 56-34 with a 24-point aggregate success at Hoddesdon to go through to this weekend’s final against Workington. It wasn’t completely plain sailing for the home side as the plucky Panthers kept the scores tight until a 5-1 in Heat 7 from Nick Morris and the excellent Ben Morley saw them finally pull clear. Pottinger admitted: “It’s a relief to have finally made it through. It’s been a tough few days for the club but it’s good we can finally focus everything on the final. “It’s going to be a massive weekend for Lakeside. It’s been a rollercoaster year that we could never have envisaged. “But right from the start when promoter Jon Cook assembled this team I felt it was good enough to go all the way. The Hammers was delighted with Morley’s paid 13 from reserve and there were also vital contributions from Zach Wajknecht and Alfie Bowtell. 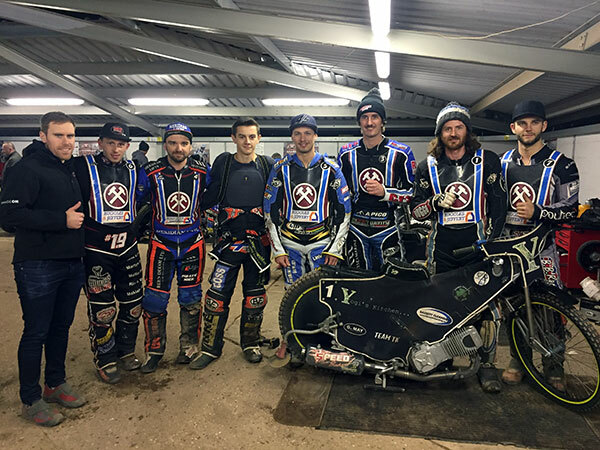 He added: “Strangely enough having another meeting has helped us get a few extra laps in around Rye House. That might help us in the long run. “It showed tonight that our top three are winning races for fun. We just need the other boys to chip in a bit and we will be there or thereabouts winning the title. “Workington will be a different proposition, we know that. They are a very solid side but I believe we are good enough. “We have a bit more experience in the side and a lot of spirit. Nick Morris and Kyle Newman have won so many league titles and been in so many Play-Off finals, they know what it’s all about. Hammers were never likely to lose a grip on the semi-final after going into that 10-point lead after Heat 7. In fairness to the depleted Panthers, they kept up the fight. But Morris and Lawson finally put the home side through to the final with a 5-1 in Heat 13 – the Australian producing a very slick unbeaten four rides to anchor the win. Ben Morley 12+1, Nick Morris 12, Adam Ellis 12, Richard Lawson 10+2, Zach Wajtknecht 5, Alfie Bowtell 3+1, Kyle Newman 2. Emil Grondal 9, Ashley Morris 7, Thomas Jorgensen 5+1, Theo Pijper 5+1, Carl Wilkinson 4+2, Simon Lambert 4+2.